The set of “Morning Joe” was especially feisty on Friday, with host Joe Scarborough offering a lengthy denunciation of Fox News and conservatives for their attacks on special counsel Robert Mueller. “When you start comparing Robert Mueller to Stalin or Hitler, you are not attacking Robert Mueller, you are attacking the United States of America, you are attacking the United States Constitution,” Scarborough said after playing a clip of former House Speaker Newt Gingrich on Fox News blasting the FBI for using “Stalin” and “Gestapo” tactics. Gingrich is a Fox News contributor. 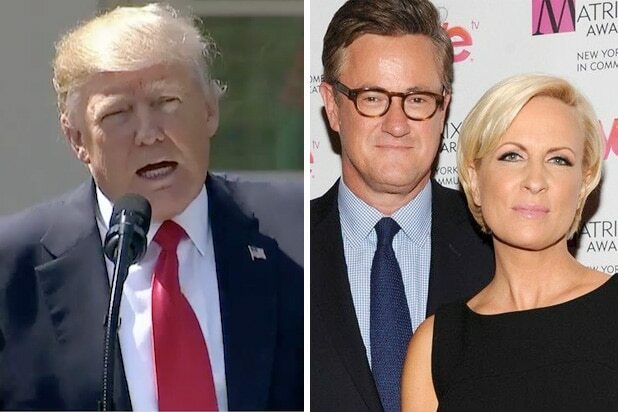 “I ask those leading Fox News, I ask Republicans on Capitol Hill, conservatives across America, are you really comfortable attacking law enforcement officers and personnel who were protecting your children against the next ISIS terror attack on American soil, comparing those FBI agents to Joseph Stalin, a man who killed between 25 and 40 million of his own people?” said Scarborough. Comparisons to Stalin — as well as Mao Zedong, Pol Pot and many other 20th century dictators — have been routine on the set of “Morning Joe” over the past year when the subject has been Donald Trump. “Of all the things — the shocking things the president has said, and he’s said so many, channeling Chairman Mao and Joseph Stalin by calling the media ‘enemy of the people,'” he said in an October 2017 broadcast.